How does my family survive living with a writer? Hi, Y’all. 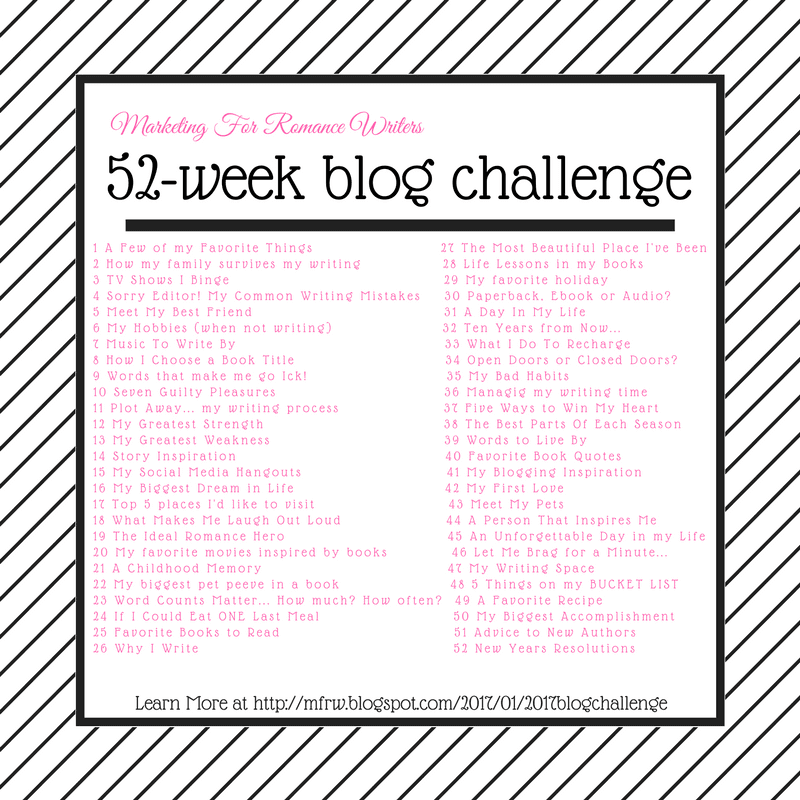 I have joined the 2 weeks blog hop challenge. Each week we are given a prompt. This week’s Prompt is How does my family survive living with a writer. It’s just my husband, me and all the furbabies. My husband and I are both retired. I usually get up early in the morning, get my grandkids off then come home and write. My writing time is done by the time the kids get home. My hubby sometimes sleeps in so the house is nice and quiet. Right now my office is cold, and I am down in my back( a disability I have) so I have been using the long chaise in the house. 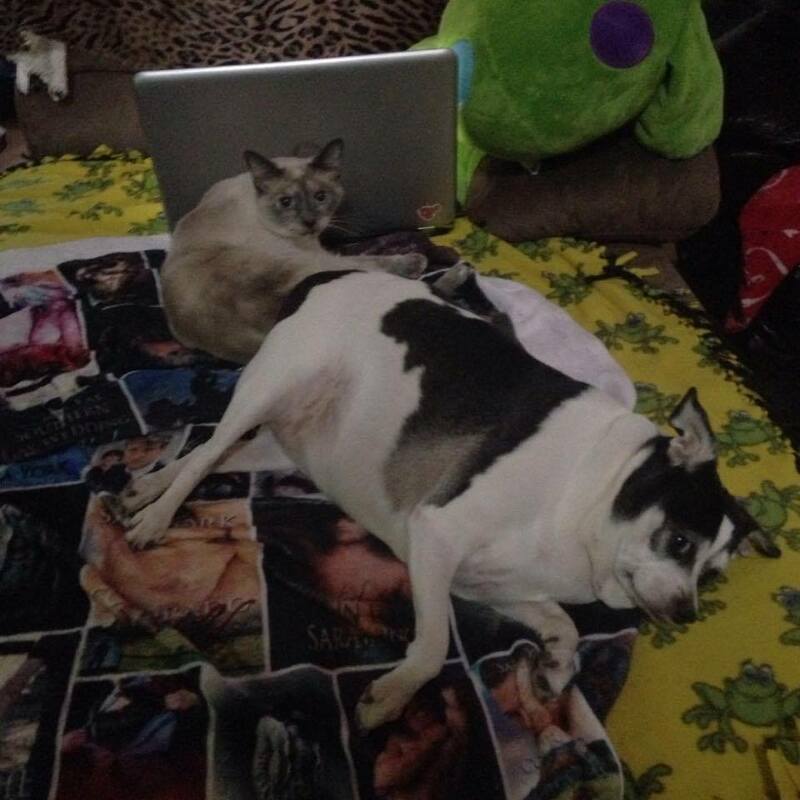 My furbabies love it. Molly, my dog, will curl up close beside me. Chloë, my special kitty finds her a nice cozy spot, usually next to me on a leg or down on my feet. Sometimes Kitness, my other cat will join the big loving pile. I do have a beautiful office I should be using, but then I couldn’t cuddle with the furries. I do wish someone in my family was more excited about my writing. It’d be good to have someone to talk to about my craft and discuss my stories. I have a great little group that does that, though. Do you write or have a craft? How does your family deal with it? Check out the other bloggers to see how their families survive writing. I absolutely love this post. It makes me feel I know you better, being able to visualize you writing. Cathy, you are one of the most industrious writers and bloggers I know. I don’t know how your blog, read, and review so consistently. Well done. awe thank you that’s so sweet!!! Hubs & I are retired from the paycheck jobs. It took a while to adjust, but we’ve managed well. He leaves me alone. LOL I will suggest activities we can do together. I can’t take him for granted. I have lots of fur babies too They really add to the writing life in so many ways, even when they sort of get in the way. Thanks for sharing about them. I also love the look and feel of your website.